You want to drive more traffic to your site, but you also don’t want to your Web content to look spammy. Search engines like Google are striving hard to help searchers find what they’re looking for by filtering out all the nonsense — and if you and Google are on the same page, your SEO strategy will go much more smoothly. You can build inbound links with integrity and boost your Web rankings simply by using anchor text properly. That means not manipulating visitors into clicking text that takes them somewhere they don’t expect. If you haven’t already heard, linking any of your pages to the words “click here” is a huge SEO faux pas. That tells search engines that your page is about “click here,” and not the idea, product, or service for which you want your site to be known. That same rule goes for any words or phrases with which you create anchor text. The words you use to link to specific pages on your website define it — and search engines provide results to searchers based on that. For example, if you manage a website selling human capital management (HCM) software, substitute phrases like “see more here” with “increase employee productivity.” The latter is a phrase the site’s target audience might search to find an HCM solution. Either way, you have what that searcher is looking for: software to help increase employee productivity –and the search engine is sure of it. Check social media, especially Twitter: A whopping 67 percent of company mentions occur on Twitter, according to Mention research that analyzed more than one billion company mentions throughout the last two years. Search hashtags with your brand name and see what comes up. Check on Thursdays: For whatever reason, people mention companies on social media most on Thursday, Mention’s research found. Tuesday and Wednesday are close runner-ups, and weekends are when company mentions drop the most. Google your brand: One of the best ways to see what people are saying about your brand — if anything at all — is to search your brand name and look at the results. This can also help you see which key phrases are pulling up your website in the search results and which are not. When you notice a pattern or trend where people are describing your product a certain way (hopefully, it’s a neutral or positive way), use that phrase as anchor text on your site. Jason Buss described HackerRank as a tool that is “widening global recruiting reach.” The tech-recruitment platform could use that phrase to link to the funding announcement on its website, or even a page about its mission to connect employers with better tech talent. Behan Communications described Chequed simply as an “HR feedback tool.” Chequed can use that phrase in its content to link to its home or about page. If what your site says aligns with how people describe a product like yours, people will be more likely to visit your site when they’re searching for it. Your biographies, your brand’s boilerplate on the press material you create, and any “about” spiel are all full of opportunities for you to tell search engines what’s on your site. 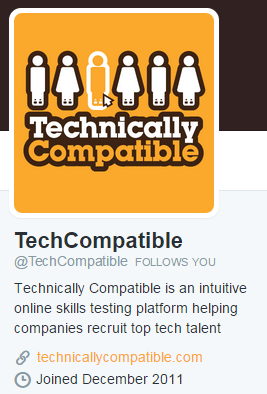 Take TechCompatible’s Twitter bio, for example. Okay, so there’s no link in this one, yet — but if TechCompatible linked the phrase “recruit top tech talent” to its webpage of choice, it would direct plenty of new visitors who want to learn more about recruiting top tech talent to that page. Stephanie could link the phrase “really cool people” to an article she wrote about, well, a cool person — like a public figure. In boilerplates, you can use text to direct readers to your site in a similar way, especially in press releases published within your site. Just link the key phrase in the text that best describes the page to which you’re linking. 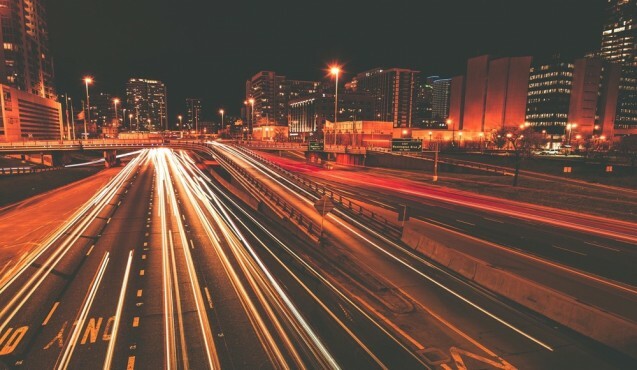 Building honest links that direct traffic to your site sounds like a lot more work, but it’s not really. It only requires a different approach, thought process, and maybe a little more research. Any extra effort you make optimizing your site the right way will be worth it in the long run. What are some link-building strategies your company uses to increase Web traffic?